Posted on December 14, 2017 by treelawyer	tagged. 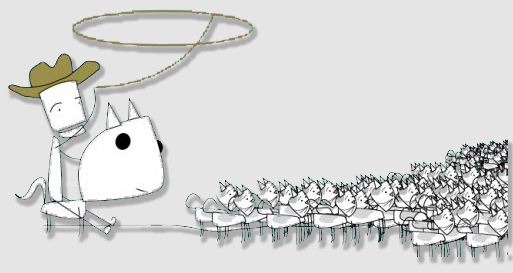 Removing covenants can be like herding cats … which explains why Robby Ricciardello looked for a shortcut. 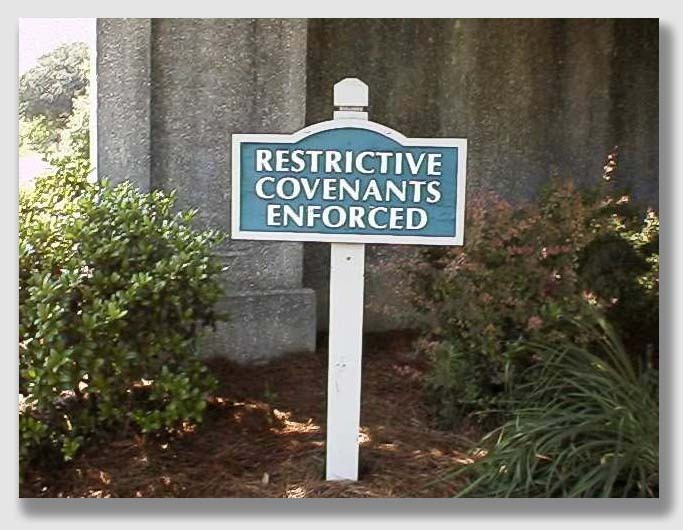 It helped that almost everyone in the subdivision was already violating one or more of the covenants. We explained – over a several-month education program – that all it would take is one jerk moving into the neighborhood who wanted to stick it to his neighbor, and we’d all face trial court Armageddon. We got a majority to sign on, but it was like herding cats, an exhausting effort. We made our filing deadline by a nose. The whole experience gave us a heightened appreciation for the long suffering neighbor in today’s case. The case concerns poor Robby Ricciardello. Well, maybe not poor in the fixed asset sense. Robby owned five lots in a subdivision, and he had big plans — plans like build a barn, store bulldozers, hunt, grow mangoes — you know, the kinds of things we all like to do with our lots in the middle of subdivisions. 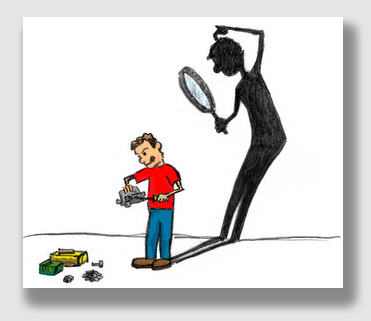 A man oughta be able to do what he wants with his own property … right? But he had a problem. His deed contained one of those pesky restrictive covenants that restricted the use of the lots to the construction of one-family homes only. Fortunately for Rob, the restrictive covenants provided that they could be amended or terminated by a vote of the owners of six of the subdivision lots. Robbie decided to build a barn anyway, and he hatched a plan to pull it off. He told his neighbor Jim Carroll what he was going to do. Jim panicked, because he knew Rob had five lots and only needed the concurrence of one more owner. So Jim hatched a plan of his own, starting a drive to amend the covenants in order to make them harder to circumvent. Finally, Rob announced he wouldn’t build a barn after all, so Jim abandoned his efforts. Any sense of relief Jim felt was short-lived, because Rob did an end run on the subdivision owners. He formed his own limited liability company, which he had to buy an additional lot. Rob essentially had a meeting with himself as an owner of five lots and Connecticut Outfielder LLC – of which he himself was the president – being the sixth lot owner. Rob took a nose count, and — mirable dictu — the owners of the minimum six lots were present! The vote was unanimous, unsurprisingly, as Rob agreed with himself to terminate the covenants. Pretty slick, Rob. But Jim didn’t think so, and he sued. Connecticut Outfielder protested that it had done nothing wrong. It just agreed to terminate the covenants, something it as an owner had a right to do. Rob and his alter ego LLC moved for summary judgment, pointing out that the restrictive covenants had been terminated. The court disagreed, finding that issues of fact existed, not the least of which being whether Rob had misled James to induce him to abandon trying to amend the covenants, and whether one guy – by controlling six lots himself or through corporate devices – could validly terminate the covenants. In June 2004, Ricciardello told Carroll he intended to build a barn on one of the six lots he owned. Carroll started talking to the other owners about amending the covenants to, among other things, raise the number of lot owners needed to amend or terminate the covenants. Then Ricciardello told Carroll he had decided not to build the barn, and Carroll abandoned his efforts to get the covenants stiffened. But Ricciardello, ever the crafty one, formed a Connecticut limited liability company named “Connecticut Outfielder LLC.” The same day it was formed, it bought lot two of the subdivision. Three weeks later, Ricciardello and Connecticut Outfielder — who together owned six lots in the subdivision — executed a “Release of Declaration of Covenants and Restrictions,” that was recorded in the Glastonbury town clerk’s office, which wiped out all of the covenants and restrictions on the books. Ricciardello proceeded to do as he liked with his lots, planting an orchard, hunting for small game and storing construction equipment. Carroll sued, claiming that the release of the covenants was improper, and asked for an injunction. Ricciardello and Connecticut Outfielder answered, counter-claimed and filed for summary judgment. Connecticut Outfielder contended there are no genuine issues of material fact and that Connecticut Outfielder is entitled to judgment as a matter of law for the breach of restrictive covenants count and the counterclaim seeking a declaratory judgment that the release of covenants is valid. Connecticut Outfielder’s grounds for the motion were that Carroll testified that Connecticut Outfielder did not breach the covenants, and, the plaintiff did not allege any wrongdoing by Connecticut Outfielder in the operative complaint. Carroll objected that there were genuine material issues of fact. Held: Summary judgment was denied. Summary judgment, of course, is appropriate where the pleadings, affidavits and any other proof submitted show that there is no genuine issue as to any material fact and that the moving party is entitled to judgment as a matter of law. In deciding a motion for summary judgment, the trial court must view the evidence in the light most favorable to the nonmoving party. Here, the Court said, genuine issues of material fact exist concerning whether Ricciardello and Connecticut Outfielder breached the covenants and whether the covenants were properly released. Also, an issue existed whether Carroll relied on Ricciardello’s false assurances that he wouldn’t build a barn in deciding to abandon his quest to amend the covenants to block Ricciardello’s plans. As long as those issues remain, the case must go to trial.